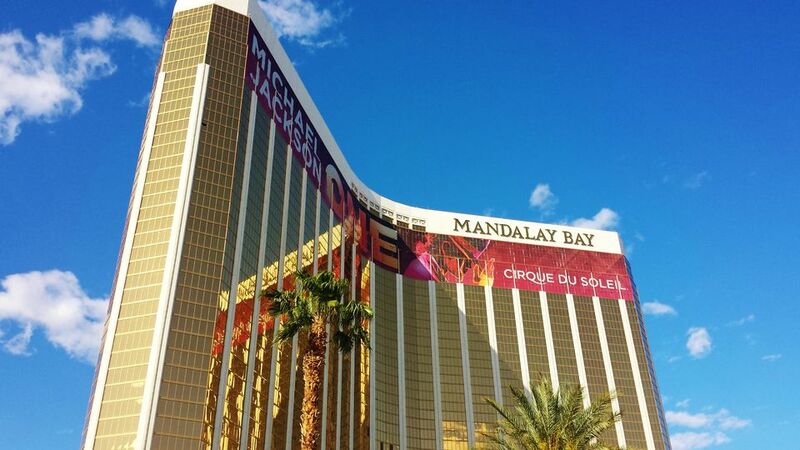 Las Vegas is very good at using its extra space and Mandalay Place at Mandalay Bay Hotel is a very good example of what Las Vegas does best. When it is hot outside you really don't want to walk along Las Vegas Blvd so why not keep you indoors and comfortable as you move from one hotel to another? Mandalay Place is really a corridor between the Luxor Las Vegas and the Mandalay Bay Hotel. It is lined with specialty shops and quite a few places to have a drink or a meal and it keeps you inside. If you need a good happy hour you'll find it at Hussong's or Burger Bar and if you need a slice of pizza you can get it at Slice of Vegas. RiRa Irish Pub will greet you with fish and chips and plenty of beer while Minus 5 Ice lounge will keep your drink very cold as you sit in an ice bar. The walkway filled with shops gets you to the Mezzanine level of Luxor Las Vegas and if you walk through the casino at Luxor you can find another corridor (without shops) that leads you to Excalibur hotel. You can walk from Mandalay Bay to Excalibur without ever going outside. You could just take the free monorail as well. Sample the cocktails at Rx Boiler Room. Handcrafted drinks, good food, and a lively atmosphere. Indulge in a margarita and chips and guacamole at Hussong's. Overeat, go ahead because all we ever really need is chips, salsa, and avocado. Get cleaned up at the Art of Shaving with a haircut and a straight razor shave. You'll good after that. Grab an image of your tongue at Lick. Yes, a candy store that is excited about the changes in color that their candy will bring to your mouth. Vegas! RiRa Irish Bar is exactly what you need if you are not into shopping but your significant other really wants to do the rounds of the shops and boutiques at Mandalay Place. Great atmosphere and plenty of space for the sports fan or the live music lover. This is a genuine pub so do your best to drink up. Mandalay Place is built on a walkway between the Mandalay Bay and Luxor hotel with 41 shops and restaurants. Walk into 55-Degree Wine and see their display of fine wines or have a Kobe Burger at the Burger Bar. They have done a good job of making high-end shop seem inviting. You do not see as many pretentious salespeople at Mandalay Place as you often get at some of the other hotel shopping areas. Hours: Sunday-Thursday, 10 a.m. to 11 p.m. and Friday and Saturday from 10 a.m. to 12 a.m. Valet: Yes, at the hotel and in the west side parking garage. Also, this may be one of the last places where you can park for free at an MGM Resort. Place for the guys: Get a shave and a haircut at the Art of Shaving or grab a burger and a beer at the Burger Bar as you watch a game.